Ronald Reagan was the 40th President of the United States, serving from Jan 1981 to 1989. He was a Republican and was credited with a resurgence of American conservatism. He pursued a policy of neo-liberal economics – seeking tax cuts, reduced government spending, and privatisation. Towards the end of his presidency, he was involved in negotiations with Russian President Mikhail Gorbachev, which led to treaties reducing the nuclear capabilities of both countries and the ending of the Cold War. He also took an activist approach to protecting US interests abroad – including controversial decisions, such as the bombing of Libya, and the invasion of Grenada to reverse a Communist coup. Ronald Reagan was born 6 February 1911 in Tampico, Illinois. He attended Dixon High School where he gained an interest in acting and sports. He then attended Eureka College where he was elected president of the student body. In the 1930s, Reagan gained work as a radio presenter commenting on baseball games. 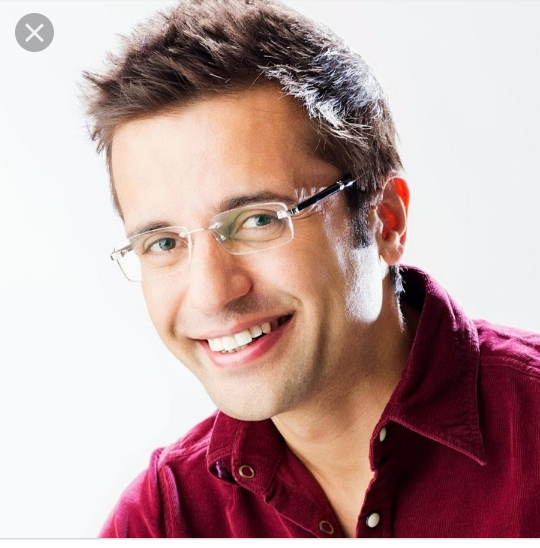 He made a strong impact because of his clear presentation and engaging voice. In 1937, Regan moved to Hollywood where he gained a contract with Warner Brothers. He was a prolific actor appearing in nineteen films by the end of 1939. Reagan later commented that with many films he worked on, directors were keen to get the movie finished as quickly as possible. In 1942 he starred in ‘Kings Row’ – a film about a double amputee. His performance received critical acclaim, and it made him quite famous as a Hollywood actor. But, shortly after, he was drafted into active service in the U.S. Army. During the war, poor eyesight meant he was excluded from serving overseas. He worked in public relations and made several propaganda films, and helped in the War Loan drive to raise money for the cost of the war. Reagan married for the first time in 1940, to actress Jane Wyman, having two children. Wyman later filed for divorce in 1948, not wishing to support Reagan’s political ambitions. After the war, Reagan became president of the Screen Actors Guild. This involved representing actors in labour disputes; he also gave information to the FBI about actors with potential Communist sympathies. It was as president of SAG that he met Nancy Reagan – ironically because Nancy had been mistakenly put on the list of ‘Communist sympathisers’. They married in 1952 and had two children – Patti and Ron. In 1962, he formally joined the Republican party, stating that he didn’t leave the Democrat party, but the party left him. His political profile within the Republican movement rose sharply in 1964 when delivering a speech “Time for Choosing” for Presidential hopeful Barry Goldwater. Reagan stressed his philosophy which would characterise his political views. Reagan believed that government needed to be limited to prevent intrusion into individual liberties. Reagan was espousing a conservatism that would become popular in America. He was a member of the National Rifle Association and in the 1960s opposed some civil rights legislation because people should have the freedom to discriminate in housing if they wanted to. However, he claimed it was not from racist motives, and when growing up in the segregated South, he had offered accommodation to black people who were unable to stay at a hotel. Ronald Reagan later paid credit to Martin Luther King for the peaceful civil rights movement of the 1960s. A typical summary of his ideology for limited government is expressed in this interview. “The basis of conservatism is a desire for less government interference or less centralized authority or more individual freedom…But again, I stand on my statement that I think that libertarianism and conservatism are traveling the same path.” (Interview published in Reason (1 July 1975). In the 1960s, Reagan spoke against ‘socialised healthcare’ and favoured reducing the welfare state. “Welfare’s purpose should be to eliminate, as far as possible, the need for its own existence.” Interview, Los Angeles Times (7 January 1970). In 1966, he was elected governor of California. His main policy planks were to reduce government spending, in particular, cut welfare spending, and to tackle the student anti-war/anti-establishment protests which were springing up in response to the Vietnam war. As Governor Reagan was quick to send troops into Berkeley and other universities to crack down on protests. When quizzed about ‘Bloody Thursday’ – where a protester was killed by police. Reagan was unapologetic. “If it takes a bloodbath, let’s get it over with. No more appeasement.” Cannon, Lou (2003), p. 295. Reagan was supportive of the Vietnam war. In 1976, his standing within the conservative movement encouraged him to stand for the Republican nomination. He lost to the more moderate Gerald Ford, but his campaign gave an impressive display of conservative strength, and in 1980 he gained the Republican nomination to fight Jimmy Carter. Against a backdrop of high inflation, low growth and the Iran hostage crisis. Reagan offered a radical agenda of economic neo-liberalism, a hard-line stance against Communism, state rights and strong national defence. Reagan won a convincing electoral victory in 1981 making him the oldest person to be elected president, at the age of 69. 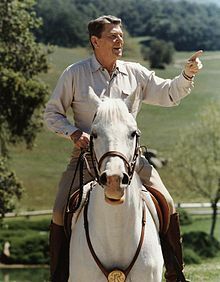 Reagan was viewed as an excellent communicator; people warmed to his personal, no-nonsense style. He came across as something of a Washington outsider, more at home on the farm. This engagement with ordinary people played a pivotal role in his electoral success and long-term popularity. Within three months of his Presidency, Reagan was shot in an attempted assassination attempt. He narrowly survived and made a full recovery. Reagan promoted conservative social values. This included trying to push a constitutional amendment to allow school prayer. He opposed abortion (though ironically as a new governor of California he signed a bill allowing abortion. Reagan later said he regretted the decision.) He also launched a renewed ‘war on drugs’ which took a hard-line approach to drug use. It led to more prison terms, (especially for Afro-Americans, the biggest users of Crack). For example, sentencing guidelines that meant that someone 5 grams (two sugar packets) worth of crack received an automatic five years in prison. The prison population soared during Reagan’s term. (And continued to rises after Reagan’s presidency. More successful was the “Just say no” drug awareness campaign which sought to encourage young people to reject recreational drugs. First Lady Nancy Reagan was active in raising its profile across America. On immigration Reagan was relatively liberal; in 1982, he allowed 3 million existing illegal immigrants to claim US citizenship. To stem further illegal immigrants, he passed a law to make it illegal to employ illegal immigrants. In economics, he took a hard-line against trades unions, he implemented income tax cuts and attempted to reduce government spending. A plank of his economic policy was called ‘trickle down economics’. The idea that if the wealthy become better off, wealth and income will trickle down to all in society. Despite rhetoric to reduce government spending, overall government spending increased under Reagan, partly because of the expansion of military expenditure (40% increase between 1981 and 1985. Also, although top rate income tax rates were cut from 70% to 50%, in 1981, other taxes were later raised. Tax as a % of GDP during his presidency was 18.2% – almost the same as the average tax rate 18.1% between 1970-2010. Despite a stance of fiscal responsibility, he presided over growing budget deficits, and overall national debt rose from $997 billion to $2.85 trillion, something Reagan described as his greatest disappointment. However, Reagan claimed strong economic growth during the 1980s was a vindication of his economic policies. Reagan benefited from a fall in oil prices and the economic boom of the 1980s, which saw rising real incomes. But, the period also saw an increase rise in inequality with the gap between high earners and low earners increasing significantly. Under the reforming Presidency of Mikhail Gorbachev, the Soviet Union became more committed to arms reduction and liberalisation through Gorbachev’s policy of Perestroika and Glasnost. Several treaties were signed which reduced the nuclear arsenals of both sides. In 1988, Reagan visited the Soviet Union, where he was well received. 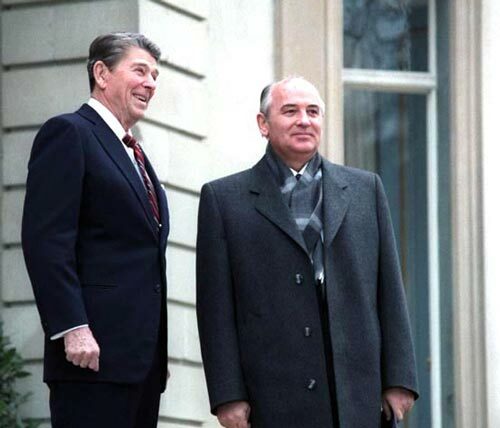 When asked if he still considered the Soviet Union the evil empire, Reagan replied “No, I was talking about another time, another era” Reagan expressed optimism about the direction the Soviet Union were taking under Gorbachev. As President, Reagan also supported aiding anti-communist movements across the world. The aim was to overturn any regime allied to the Soviet Union. Some of these anti-communist movements were also accused of severe human rights violations. These campaigns were funded secretly and supported by the CIA; this included supporting Afghan forces fighting the Soviet Union. Though ironically, these US weapons were later used by the Taliban against US forces who went to Afghanistan in the 2000s. In 1983, Reagan sent troops to invade Grenada and overthrow the non-aligned Marxist government. In 1986, the CIA was involved in clandestine activity in selling arms to Iran and using the proceeds to fund anti-Communist Contras in Nicaragua; this was made public in the Iran-Contra scandal. This had been outlawed by an act of Congress, but CIA had undertaken it on its own initiative. Regan denied direct knowledge. It was a rare case of a scandal hitting the approval ratings of Reagan. Usually, he had the ability to deflect attention from scandals. In 1986, a bomb exploded in a Berlin nightclub killing one US servicemen. 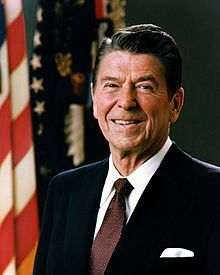 Citing Libyan involvement, Reagan ordered a series of air-strikes against Libya, citing the US right to self-defence. In response, the United Nations General Assembly adopted a resolution which condemned the US attack. It was passed by a vote of 79 to 28. A critical moment in Reagan’s second term was the Challenger disaster in 1986, where a US space shuttle exploded killing all seven astronauts on board. After office, Reagan received much critical acclaim, and also much criticism. In August 1994, he was diagnosed with Alzheimer’s disease – which involves a slow and steady deterioration in the brain. After the diagnosis, Reagan retreated from public view. He died of pneumonia on 5 June 2004.